This humble, but immensely powerful seed, kills MRSA, heals the chemical weapon poisoned body, stimulates regeneration of the dying beta cells with the diabetic's pancreas, and yet too few even know it exists. The earliest record of its cultivation and use come from ancient Egypt. Black seed oil, in fact, was found in Egyptian pharoah Tutankhamun's tomb, dating back to approximately 3,300 years ago. 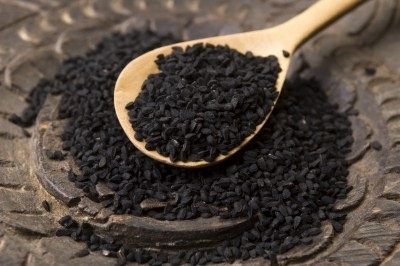 [i] In Arabic cultures, black cumin is so known as Habbatul barakah, meaning the "seed of blessing". It is also believed that the Islamic prophet Mohammed said of it that it is "a remedy for all diseases except death." These 22 pharmacological actions are only a subset of a far wider number of beneficial properties intrinsic to the black seed. While it is remarkable that this seed has the ability to positively modulate so many different biological pathways, this is actually a rather common occurrence as far as natural substances go. Sometimes the biblical reference to faith the size of a mustard seed moving mountains comes to mind in connection with natural substances like black seeds. After all, does the seed not contain within it the very hope for continuance of the entire species that bore it? This super-saturated state of the seed, where life condenses itself down into an intensely miniaturized holographic fragment of itself, promising the formation of future worlds within itself, is the very emblem of life's immense and immortal power. If we understand the true nature of the seed, how much life (past, present and future) is contained within it, it will not seem so far-fetched that it is capable of conquering antibiotic resistant bacteria, healing the body from chemical weapons poisoning, or stimulate the regeneration of dying insulin-producing beta cells in the diabetic, to name but only a few of black seed's experimentally-confirmed "super powers." The time, no doubt, has come for food, seeds, herbs, plants, sunlight, air, clean water, and yes, love, to assume once again their central place in medicine, which is to say, the art and science of facilitating self-healing within the human body. Failing this, the conventional medical system will crumble under the growing weight of its own corruption, ineptitude, and iatrogenic suffering (and subsequent financial liability) it causes. To the degree that it reforms itself, utilizing non-patented and non-patentable natural compounds with actual healing properties, a brighter future awaits on the horizon. To the degree that it fails, folks will be compelled through sheer necessity to take back control of their health, which is why black seed, and other food-medicines, represent powerful plant allies capable of making the journey easier to bear. Listed below are links to blogs that reference this entry: Black Seed - 'The Remedy For Everything But Death'. I was cured of HIV with the used of natural herbs. My name is Marie and am from US. I love herbs so much. Most times, injection and drugs are just a waste of time. I was cured 8months ago, i suffered from HIV for 13yrs but with the help of DR. Baba Ogu herbal medicine, i was cured within few weeks of drinking the herbs he sent to me through courier delivery service. This same doctor also cured my Aunty from herpes, as soon as i heard she had herpes, i quickly refer her to Dr. Baba Ogu and she was cured too after drinking his herbs.I have referred more than 15 persons to Dr. Baba Ogu and they were all cured from their various illness. Have you taken herbs before?. You have spent so much money on drugs,injections,surgeries etc and yet you have no good result to show for it. Contact Dr. Baba Ogu now, he is a herbalist doctor, i assured you of a cure if you drink his natural herbs. Dr Baba Ogu have herbs that cures Hiv, Herpes, diabetics, asthma, hepatitis,HBP, STD, cancer, chronic, etc. He is also a spell caster, he can cast a spell to bring back your EX lover. Contact Dr. Baba Ogu through his Email address on: drbabaogu@gmail.com or WHATSAP/CALL him on +2348137291215. Share the good news to others once you are cured. Thank you. friends Dr Galaxy can help you solve any problem contact him now. Contact Dr. Oba today if you need cure to HIV , Don't bother yourself anymore, you have finally found the cure, Contact Dr. Oba on dr.obaherbalhome@hotmail.com, or call him on +2347050254817, He will help you, he cured me from HIV, remember #HEALTH IS #WEALTH, Nothing good comes so easily, he will help you okay!! This page contains a single entry by Toni published on January 3, 2013 12:29 PM. Codex Nutrition Committee Chooses Malnutrition was the previous entry in this blog. Could Hillary Clinton be a high profile Aspartame victim? is the next entry in this blog.